I can't believe how quickly this week went by. I didn't get enough of a chance to explore all the many wonderful blogs. I'll have to continue my visits in the upcoming days. 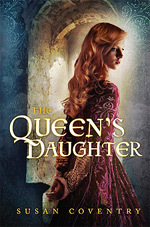 The winner of Code Name Verity and The Queen's Daughter was chosen using random.org. I've sent you an email. Thank you to all the participants. It is great to see so much book-loving enthusiasm. 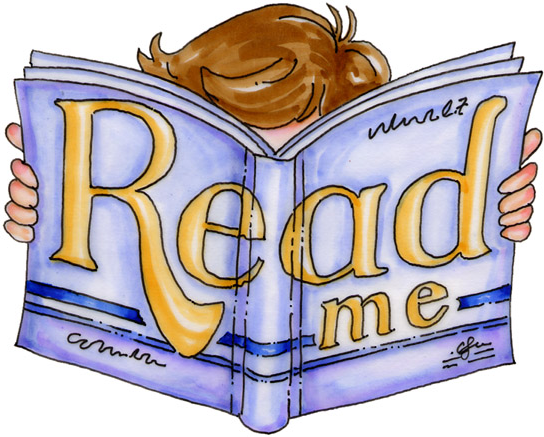 And thank you as always to the hard-working hosts at I am a Reader, Not a Writer and Martha's Bookshelf. None of this would be possible without their organizational skills and dedication! 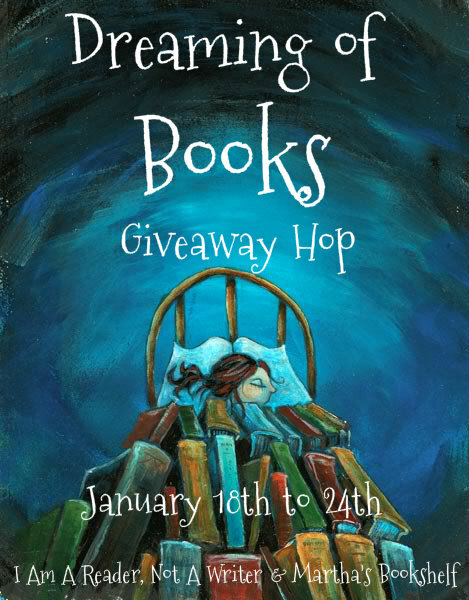 The hop is co-hosted by I am a Reader, Not a Writer and Martha's Bookshelf. He has said that I can have as much paper as I need. All I have to do is cough up everything I can remember about the British War Effort. And I’m going to. But the story of how I came to be here starts with my friend Maddie. She is the pilot who flew me into France — an Allied Invasion of Two. And the second book is my novel The Queen's Daughter. This giveaway will be for US readers only this time. To enter, just leave a comment below with an email address so I can contact you if you're the winner. If you're a follower of Reading World (GFC or email subscriber) mention that also in the comments section and you'll get an extra entry. As per the blog hop instructions, the hop runs from the 18th through the 24th. Be sure to visit all the participating blogs! 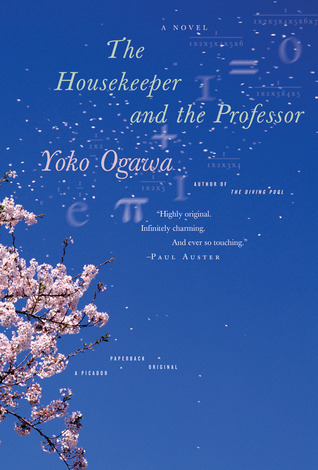 I never would have heard of The Housekeeper and the Professor by Yoko Ogawa except that it was on the list of Favorite Book Club Books on Anne’s blog–My Head is Full of Books. Her capsule review intrigued me, and my library had the book, so I’m starting off my library challenge (hosted by Book Dragon’s Lair) with this little gem. The novel is quite short. I picked it up after work and read it in a couple of hours. The protagonist is a housekeeper, a single mother of a ten-year-old boy, struggling to make ends meet. She is assigned to a new job, keeping house for a middle-aged, one-time college professor with brain trauma. A car accident many years early has left him with only 80 minutes of short term memory. Nevertheless, the Professor has retained his fascination with numbers, facility with complex mathematics, and love of teaching. Each day, the housekeeper reintroduces herself to him and they begin their relationship anew. The Professor finds common ground by relating personal things (birthday, shoe size) to numbers and formulas. While this oddity has driven away nine previous housekeepers, this particular young woman is intrigued and challenged. The relationship deepens when the Professor discovers (and rediscovers) the existence of the housekeeper’s son. He nicknames him Root because the flat shape of his head reminds him of a square root sign. Root thrives under the attentiveness and caring of this strange father figure, but he also matures as he learns how to be protective of a person who must live with the terrible knowledge that he will not remember anything he is experiencing. The story is beautifully poignant. While terrifying to imagine a life where one has only 80 minutes of memory, the Professor’s ability to find joy and beauty in mathematics and the ability of the housekeeper and her son to build a lasting friendship out of 80 minute vignettes, demonstrates how much life can be lived in the moment. I didn’t read it for a book club, but I can see how it would be a great book club pick! I missed the last couple meetings of my bookclub–too many end of the year commitments and too much work to do. But this month’s book choice is a historical fiction selection, making me all the more determined to be there. 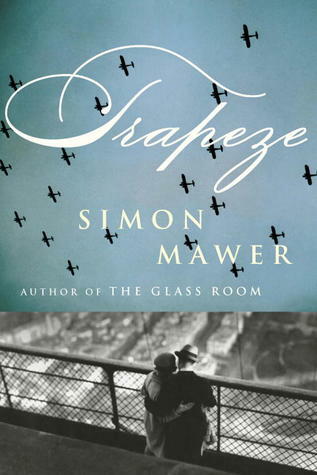 And so, I read Trapeze by Simon Mawer. Marian is an adventuress at heart. She accepts even though she is given a 50-50 chance of survival. After a rather grueling training period, during which she meets some interesting and mysterious people, she finds out what she is being trained to do–she will be parachuted into France to join the resistance workers there, to serve as a courier. The thought of going to France thrills Marian, and not simply for patriotic reasons. There is a man in Paris, a man who may have been an old school girl's crush or who may have been something very much more. The fact that he is also a brilliant physicist, and the British government would like for her to contact him on the sly, makes the journey all that more appealing–and all the more dangerous. Trapeze is an exciting, emotional account of a young girl trying to test her own limits, to discover what she is capable of in a world turned upside down by war. Marian is an admirable, if somewhat emotionally muddled, protagonist. As a fictionalized peek into the actions of the women of the Special Operations Executive, the book is an informative story. Still, I couldn’t help drawing comparisons to Code Name Verity as I was reading, even though the plots are quite different. Trapeze is more straight-forward, and in some ways a gentler read, despite its war-time horrors. Trapeze is tension filled, but just not edge-of-my-seat, can’t-put-it-down the way Verity was. I can recommend Trapeze to historical fiction fans and to WWII book fans, but I think I might have enjoyed it more if I didn’t still have Code Name Verity so fresh in my mind. And that’s unfair to this book which is so strong in its own right. 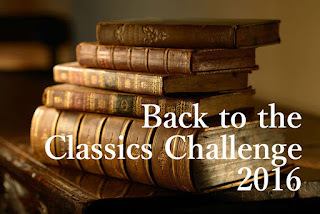 This is book 2 in the Historical Fiction Challenge, hosted by Historical Tapestry. One of my New Year's resolutions is to use the library more. My bookshelves are overflowing with books, read and unread, and I keep telling myself I can't buy more until I read what I have. That doesn't work, so I'm trying to at least acquire fewer books. I did do a little bit better at using the library last year and am hoping to continue the trend this year. To that end, I am adding one more challenge to my list. 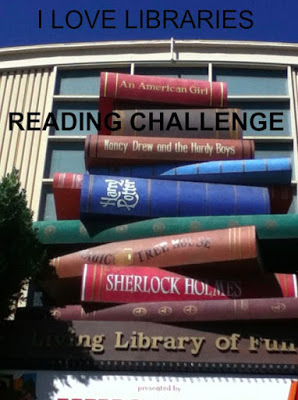 Gina at Book Dragon's Lair is hosting a Library Book Reading Challenge. (see the link for rules.) I'm going to try for the Middle Grade level- 18 books. I'll list my my books read and post links to reviews back to this page when completed. In the recent Historical Holiday Blog Hop, I was thrilled to win twice! 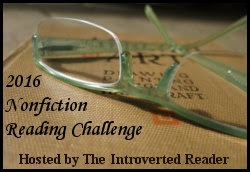 I won a copy of Deborah Swift’s The Lady’s Slipper and Helen Hollick’s I am the Chosen King. They both sound wonderful and I can’t wait to read them. Thank you to both authors! In the meantime, I settled in to read a book that has been on my Nook just waiting for me. The Forever Queen by Helen Hollick is exactly the type of book that I love to read. When I first read the blurb, I added it to my TBR list, and then it was a kindle/Nook deal for some ridiculously low price so I bought it. This was way back when my Nook was new. Unfortunately, books on my Nook tend to slip off my radar. So I was doubly thrilled to win the sequel, reminding me to read book one! The Forever Queen is the story of Emma, Queen of England, the wife of Aethelred the Unready and then of King Cnut. This is pre-1066 Norman invasion of England, but it sets the stage for it. 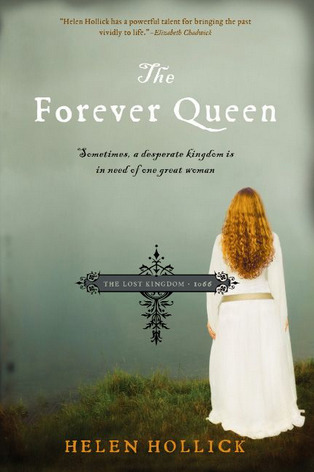 Steeped in medieval history, The Forever Queen follows the career of a strong-minded woman and her relationships. It’s a man’s world, but she makes her own place in it. Emma is a strong, ambitious woman. Married against her will to the weak bully King Aethelred as a political convenience by her brother, the duke of Normandy, Emma learns quickly which things she can manipulate and who she can trust. She discovers that she is a far better queen than her husband is king. Believing this, she is determined to hang onto her crown—no matter what. Even when the raiding Viking Cnut comes to England’s shores bent on conquering the kingdom, Emma is able to turn disaster to her own advantage. Emma’s political maneuvering concerning the fate of her children is more complicated than the decisions she makes for herself. If her choices are sometimes cold-hearted, they are understandable in the context of her situation. This is a book rich in political scheming, medieval history, and daily life details. Read it and truly feel swept back into turn of the eleventh century England. The Forever Queen is a long book, but it reads quickly. Emma lived a complex, full life and the author had a great deal of ground to cover. Although the account is necessarily fictional--there isn't a whole lot of historical documentation for Emma's life--this book is an emotionally satisfying and believable version. I’m looking forward to continuing the saga of England’s early days in I am the Chosen King. 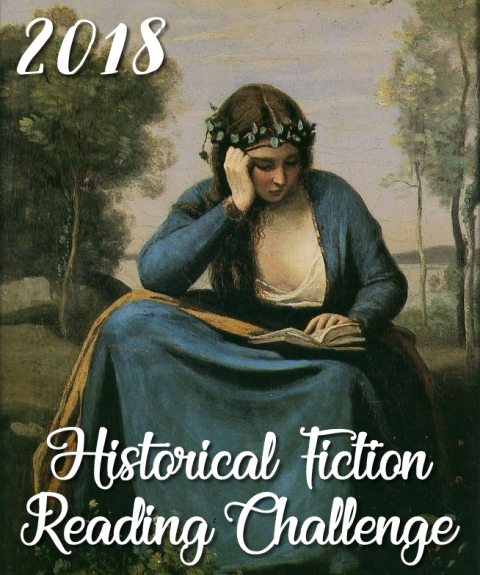 This is my first historical novel of the year-- the first book read for the Historical Fiction Challenge hosted by Historical Tapestry.